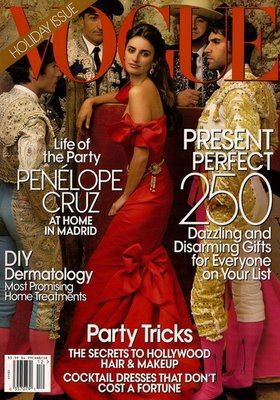 Penélope Cruz Sánchez (born April 28, 1974), better known as Penélope Cruz, is a Spanish actress and model. She gathered critical acclaim as a young actress for films such as Jamón, Jamón, La Niña de tus ojos, and Belle époque. She has also starred in several American films such as Blow,Vanilla Sky, and Vicky Cristina Barcelona. She is perhaps best known for her work with acclaimed Spanish director, Pedro Almodóvar, in Volver and Todo sobre mi madre. Cruz has been awarded three Goyas, two European Film Awards, the Golden Palm for Best Actress, and aBAFTA. In 2009, she won an Academy Award for Best Supporting Actress, a Goya, and a BAFTAfor her role in Vicky Cristina Barcelona. She is Spain's first female Oscar winner and second Hispanic actress since 1961.